The new 2019 Gravity Swift is just the bike for the rider wanting the performance of an aluminum frame, even wider Triple gearing, comfortable upright riding position and dealing with a budget. 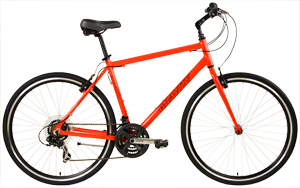 The Swift frame is precision welded from specially shaped lightweight and strong aluminum tubing. The tubing is Gravity's own special FBSeries tube-set. Look at the engineered top tube and downtube. This is designed for a responsive performance while maintaining a comfortable ride quality. The frame is a semi-compact geometry which allows for a bit more comfortable and upright position and easy straddling. Yet is still aero-enough for some serious riding if you tuck down from the flat bars. Powerful V brakes and rear rack mounts make this the great all-around bike. Compare this bike to the Trek, Giant, Cannondale, Specialized hybrid, cross and Flat bar Bikes that sell for $700 plus tax. 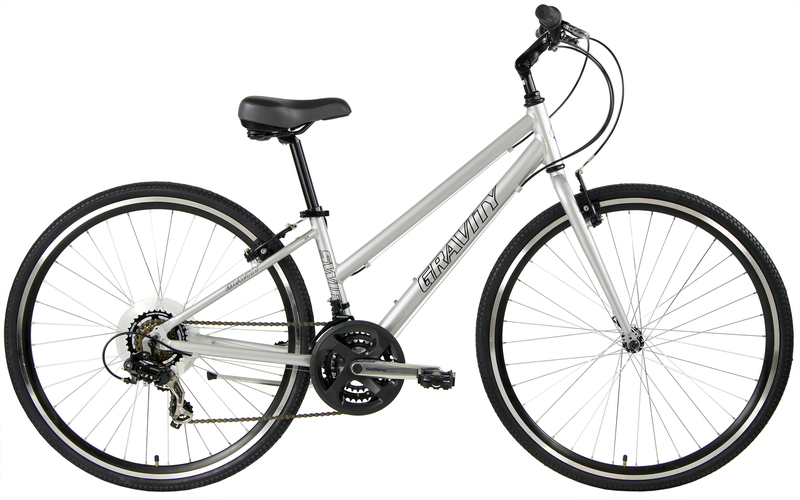 Most have straight blade forks and aluminum frames, many have semi-compact frames. Trek FX, Giant and Specialized cyclocross or / Hybrid Bikes with similar specs sell for $700 range. Why pay almost twice as much more money for lesser equipment? The Factory Direct price includes shipping by UPS ground to 48 states. 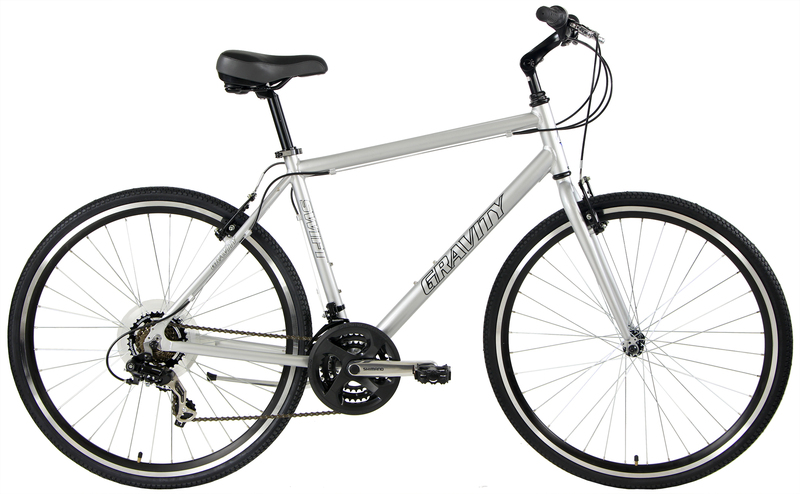 14 Ladies fits most riders 4' 10" to 5' 5"
16 Ladies fits most riders 5' 5" to 5' 11"
16" Mens fits most riders 5' 5" to 5' 9"
20" Mens fits most riders 6' to 6' 2"
Frame Gravity FBSeries ALLOY 6061 Aluminum, Engineered Main Tubes, S-Bend seatstays, 2xH2O mounts, replaceable rear derailleur hanger, rear rack mounts. 135mm rear axle spacing 700Cx16"/18"/20"/22"
Hubs F/HUB : BallBearing ALLOY BLACK W/QR. R/HUB : BallBearing ALLOY BLACK W/QR.